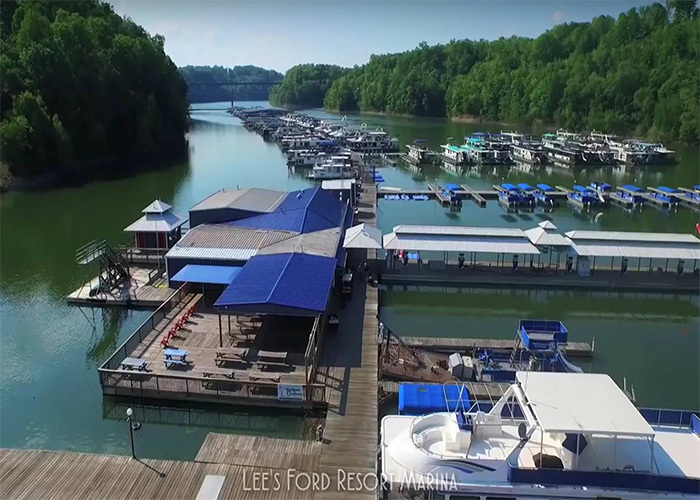 Lee’s Ford Marina Resort is your complete vacation complex on Lake Cumberland’s Fishing Creek, four miles west of Somerset. Motel cabins, restaurant, pool, tennis courts, and playground surround the modern, well-equipped, full-service marina, complete with dockin­g facility and ramp. Enjoy pontoon, ski boat, canoe, fishing boat and wave runner rentals.